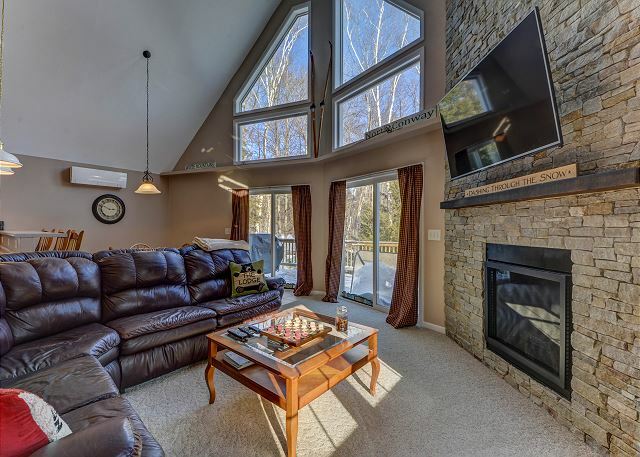 Beautiful 5 BR N.Conway Getaway! 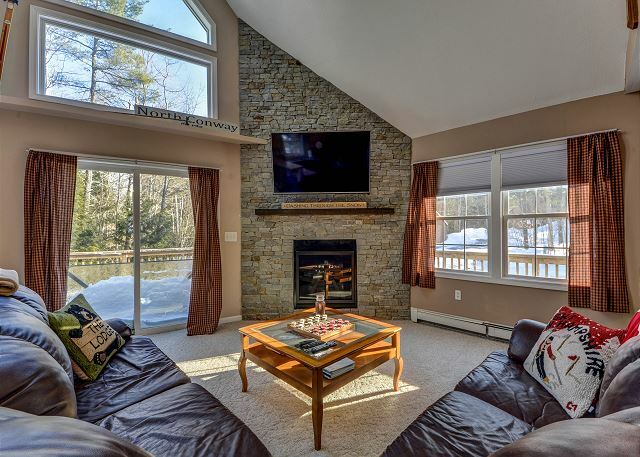 AC, Wifi, Game Room, Large Deck & Fire Pit! 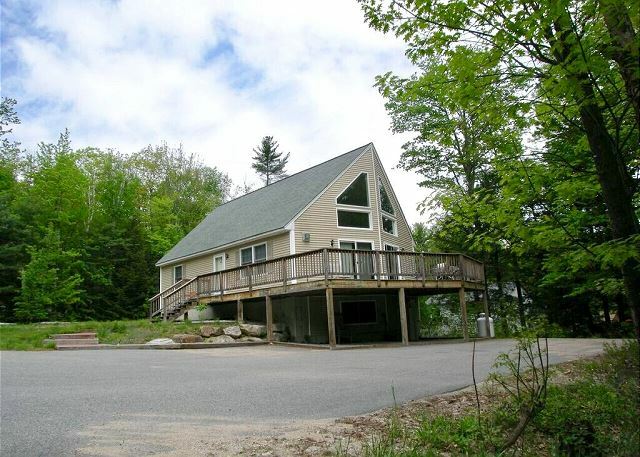 Beautiful 5 BR, 3 BA North Conway home w/game room (including pool table, foosball& darts), gas fireplace, gas log stove, large deck, and Wifi with room for a crowd. 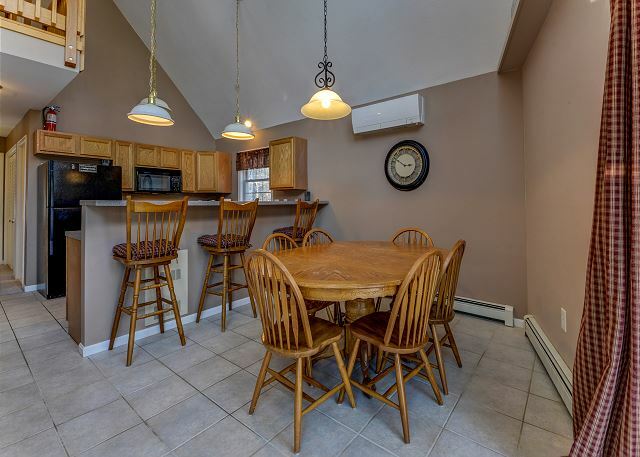 1 min to Cranmore & North Conway village- walk to trails at Whitaker Woods! 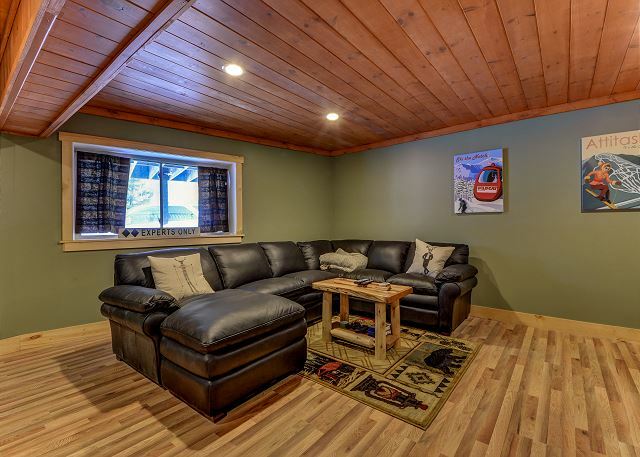 Main Level: Open living/kitchen/dining with breakfast bar, large dining table, & spacious living area with pullout sofa, gas log fireplace and large flat screen TV. Sliders off of living area lead out to a large deck w BBQ grill. 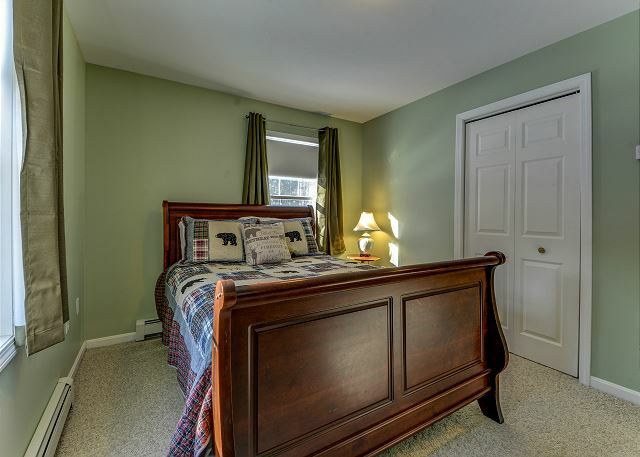 2 bedrooms-1 with a queen bed and 1 with a full bed. Full bath. 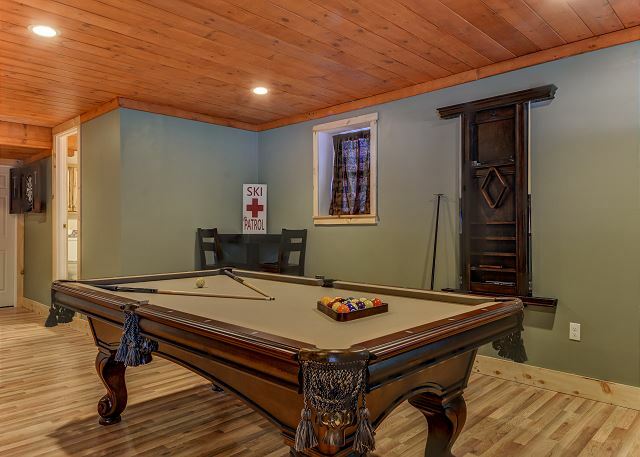 Lowest level: Newly built game room with pool table, darts, foosball and large flatscreen TV. 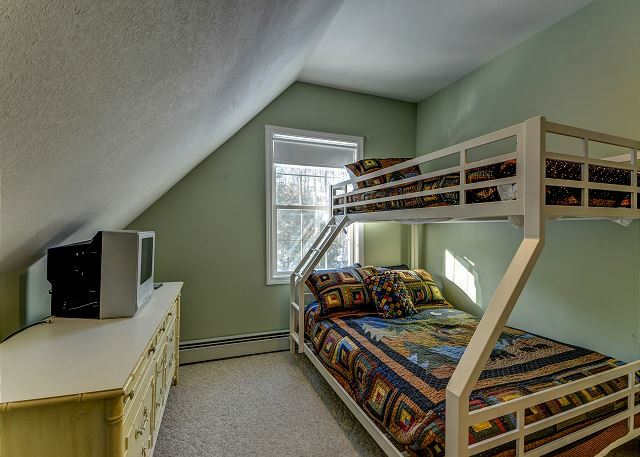 Bunk room with 2 sets of bunk beds and a 3/4 bath. Nearby Attractions for all seasons: Storyland (5.3 miles), North Conway Scenic Railway, Santa’s Village (46 miles), Tax Free Outlet Shopping, horseback riding, hiking, rock climbing, biking, river fishing, swimming, golf, canoeing/kayaking, scenic drives, Mount Washington Auto Rd, moose tours, ziplines, gondola rides, sightseeing, the scenic Kancamagus Highway, downhill skiing at one of the many nearby mountains, cross country skiing, snowmobiling, snowshoeing, tubing, ice skating and sleigh rides. The layout of this house is absolutely perfect for multiple families with kids. It’s amazingly close to everything, including skiing. We had a great time! Stayed here in June 2018 with my family ( 6 adults 1 teen and 1 toddler) House was very clean and spacious plenty of room for everyone. Loved the location !! So close to downtown with a great park for kids. The grill on the deck was very useful. Would definitely recommend this home to my family and friends!! My friends and I had a great time at this house. We visited to ski Tuckermans, which is a quick drive away. The house was spotless with many fun things to do (pool table, foosball table, fire pit, etc.) I highly recommend this home if your looking to get a large group together. Best Vacation rental so far! Room enough for everyone. Pictures were accurate, home was clean, tidy and well organized. Dealing with Pinkham was seamless. Had issue with lock on front door and they responded immediately and took care of it. 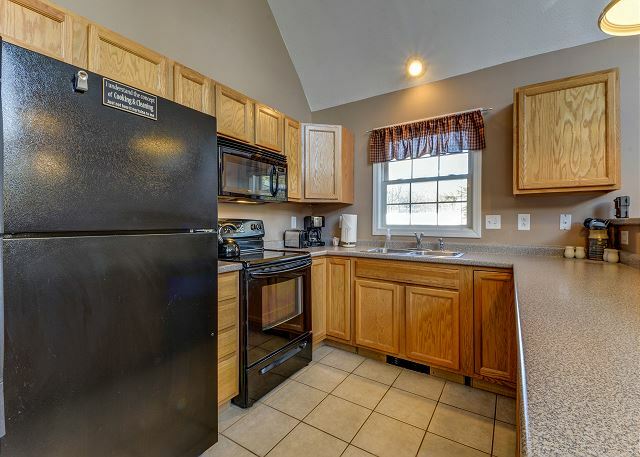 House is close to all attractions and shopping but tucked away to feel like a local! We will definitely be back-again and again!!! Renting with Pinkham Vacation Rental was great. Everything we needed to know before we arrived was timely provided. While we were staying at the house we rented we had a need to call the number provided for Pinkham. Even though I called during off hours, my phone call was returned in less than 15 mins. Also their response to the issue was fixed swiftly and we were provided great communication and ease. Kyla was very pleasant and attentive to our needs. Kyla also took the time to call when our stay was over to ensure there were no further issues. Their agency provided top notch customer service, The house at Ash st is in a great location, bedrooms and beds great, kitchen well stocked, and house cleaned well. Our family loved having pool table etc in the diwnstairs family room. Overall great house I would recommend to others. Thanks again Pinkham, job well done!! Everything was clean and comfortable. Highly recommend the linen service. 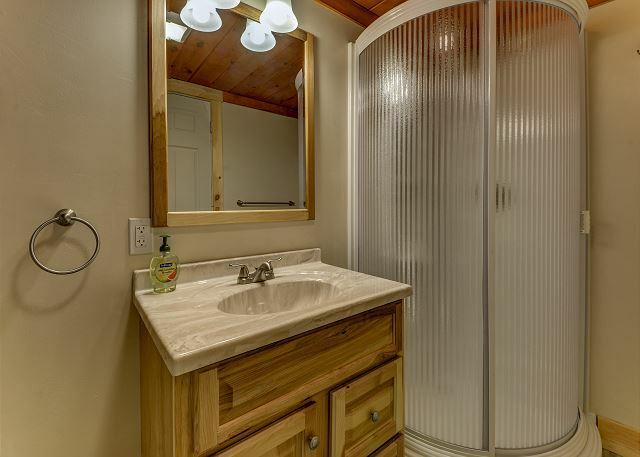 Beautiful, clean, accommodation for our large family, loved living in this stylish home in the mountains. Game room was a plus for our kids and adults. Bed very comfortable. Close to Storyland, Santa’s Village, Zebs, many stores and outlets , Attitadh, Cranmore. 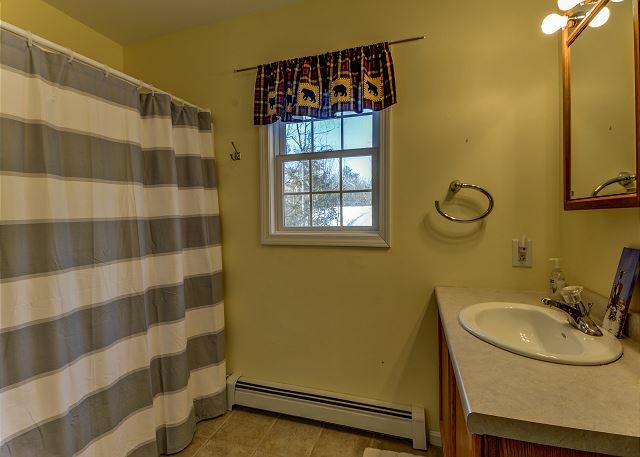 Situated in a quiet, side road up the mountain. I would love for our large family to stay there again in the winter or summer. It’s also perfect for winter skiers. Great weekend away. A perfect place which easily slept 10 adults. Thanks for having us!